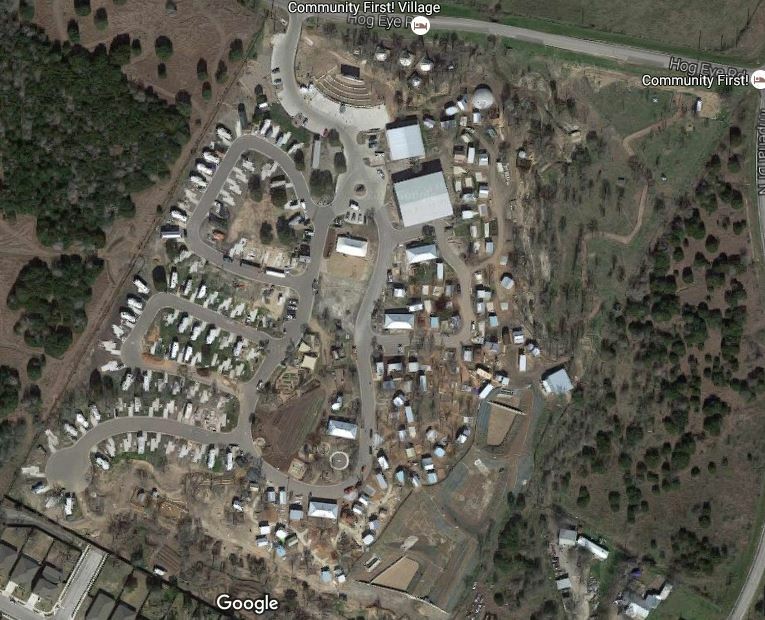 A successful housing community for the homeless already exists in Austin, TX. Watch the videos below and read more about how we can duplicate and expand on this successful model. The videos on this page are about Mobile Loaves & Fishes‘ Food Truck, Micro Business and Housing for the Homeless (Community First! in Austin TX). It is a great starting point for a template for what we want to do, but we will be bigger in our scope of who we help (permanent, transitional and temporary housing). If you feel the call of God on your life for any of these areas, or the areas listed below, please use our contact us form and join with us. Contact us about how you can make this a reality. 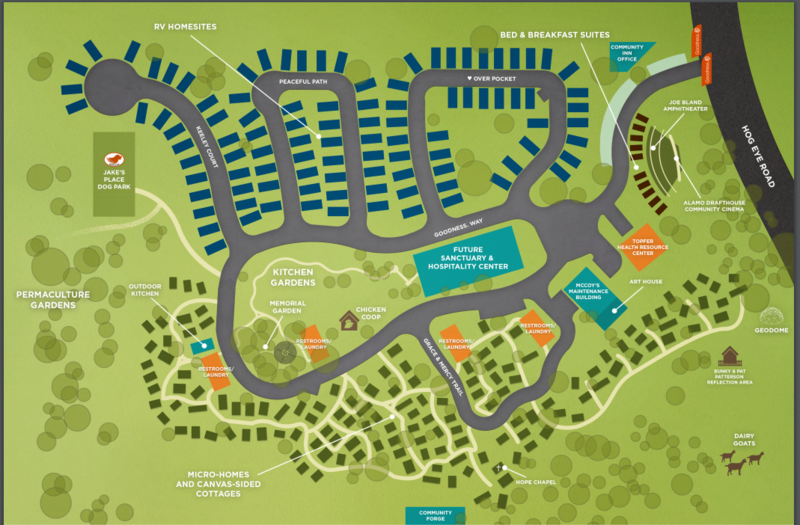 The layout of their community, with RVs on the left and tiny homes on the right. They have 5 bathhouses on the tiny home side (a total of 137 residences), with a total of 20 toilets, 15 showers, 5 laundry rooms (15 washers and dryers). RVs have hookup for water and electricity and include bathrooms, but residents must pay separately for electricity because of the air conditioning units (Koinonia residences will not break out utilities; they will be included in the rent). They have a convenience store, a place to do art, metal and woodworking, a clinic, a chapel, an outdoor movie theater, farms, gardens and more.